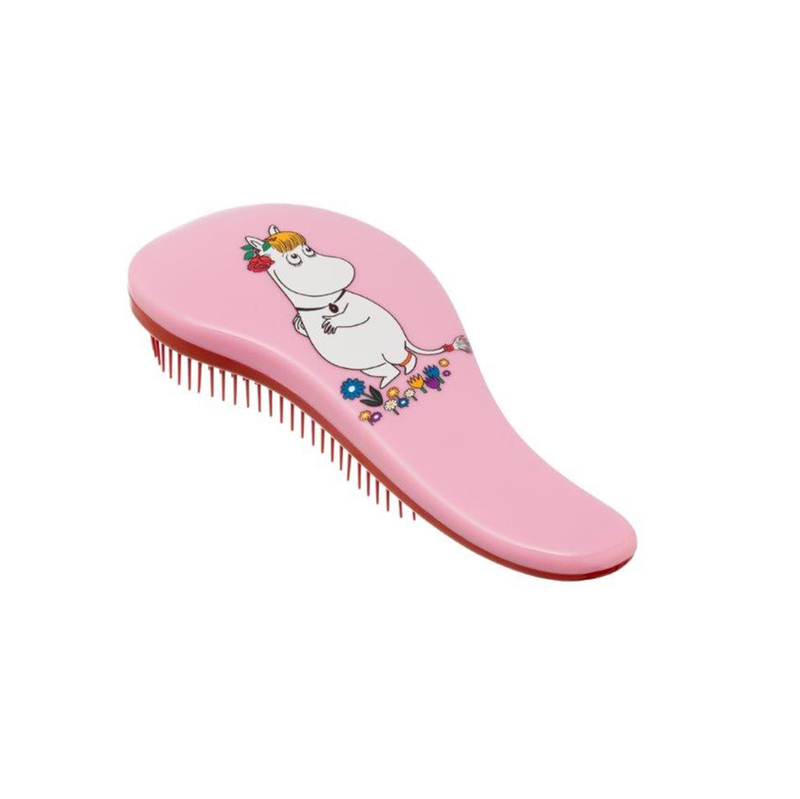 More about Moomin Snorkmaiden Detangling Brush The Moomin Detangling Brush makes tackling tangles easy and fun. 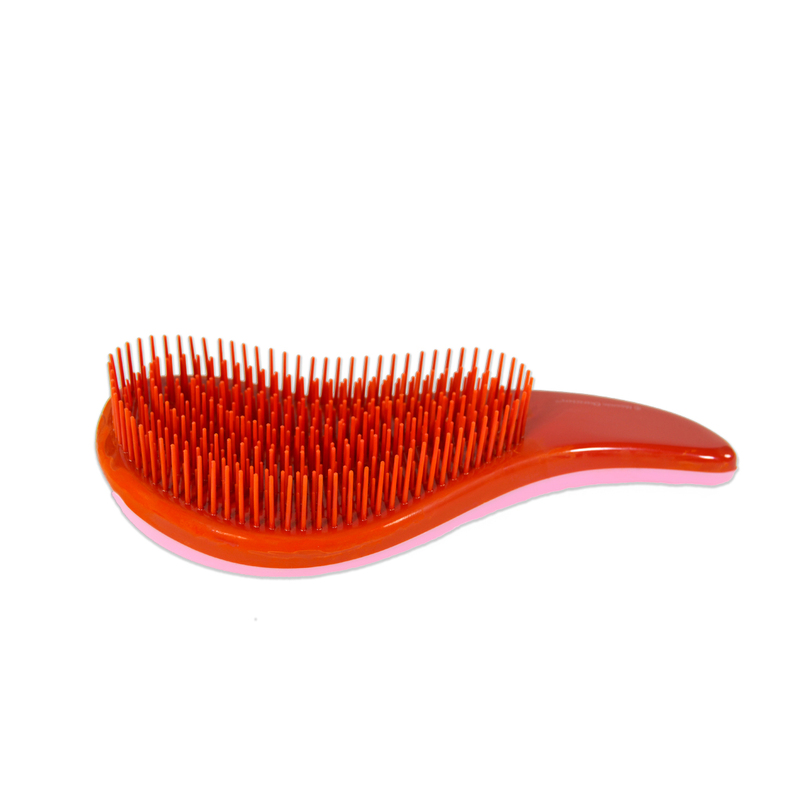 The flexible, static-free bristles are designed to free knots and tangles with a gentleness that wet hair or sensitive heads need. 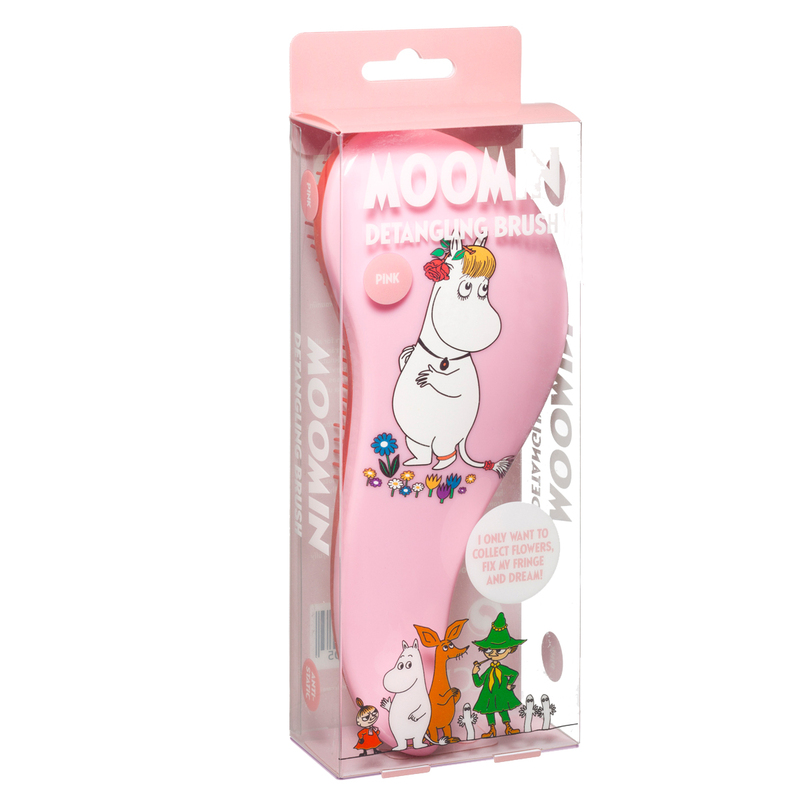 The ergonomic handle makes it easy to spread conditioner evenly and prep for a beautiful and healthy hair day. 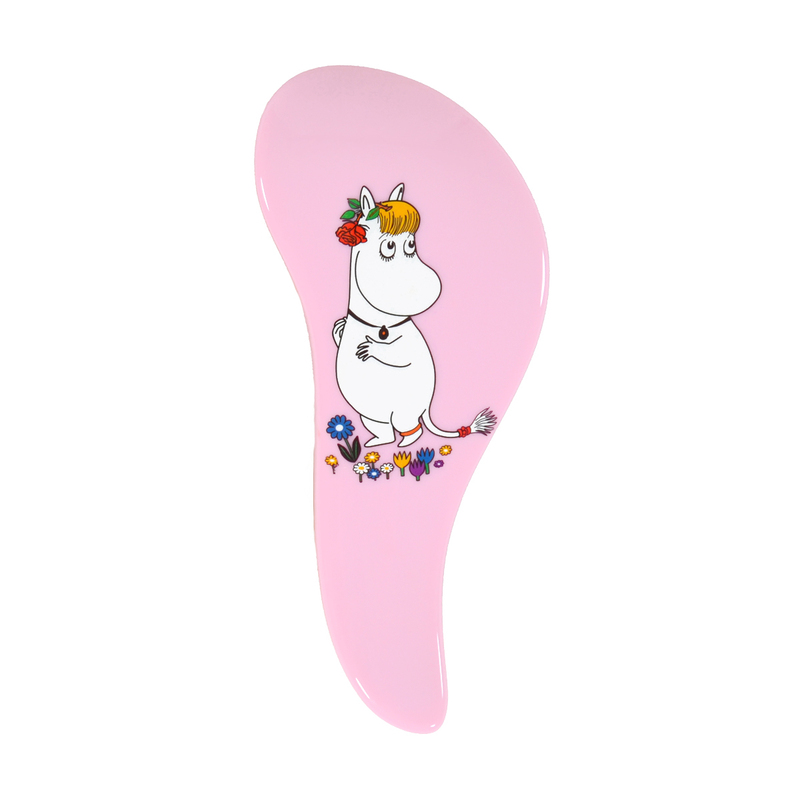 Channel the Snorkmaiden's rosy outlook with the pink brush featuring her daydreaming in a flower patch.